pyramid-excel is based on pyexcel and makes it easy to consume/produce information stored in excel files over HTTP protocol as well as on file system. This library can turn the excel data into a list of lists, a list of records(dictionaries), dictionaries of lists. And vice versa. Hence it lets you focus on data in Pyramid based web development, instead of file formats. The test application for pyramid-excel is a fully fledged site according to the tutorial here. Starting server in PID 9852. By default, the GET request will be served with upload_form. 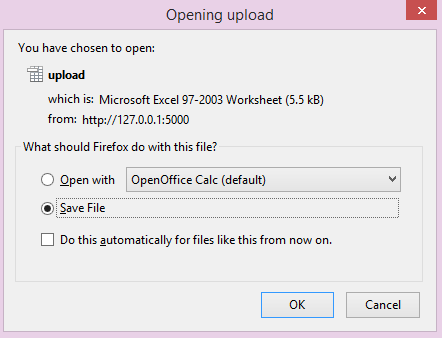 Once an excel file is uploaded, this library kicks in and help you get the data as an array. Then you can make an excel file as download by using make_response_from_array. pyramid-excel attaches pyexcel functions to pyramid’s Request class. © Copyright 2015-2017 Onni Software Ltd.. Created using Sphinx 1.5.3.